Happy Thursday all….it’s felt like it’s been awhile since I’ve done a design board just for fun. I thought today was a good day to do one. Enjoy this colorful girls nursery! 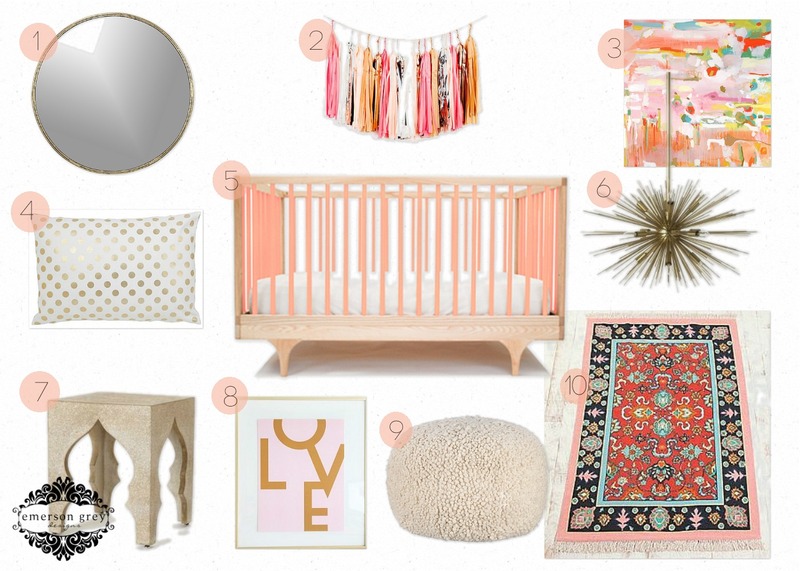 Mixing grapefruit pink and gold creates a wonderfully girly nursery moving away from the typical bubble gum pink nursery of yesteryear.